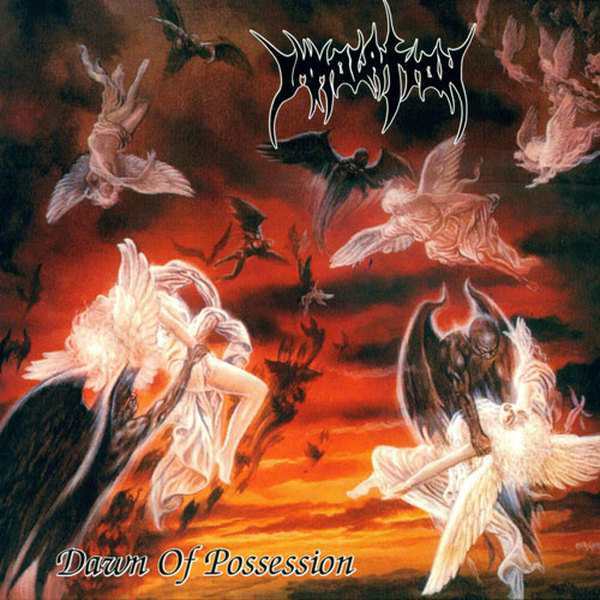 Immolation's "Dawn of Possession" was a very heavy and intense album even in the early '90s death metal scene. That time the appearence of brutal bands wasn't surprising at all, but even in this was an upper level, and Immolation had immidiately hit that level. This album was further than most others both in heaviness and quality. The brutal, animalistic vocals not narrating the usual blasphemous lyrics, but setting them onto a higher level. From a more phylosophic, individual aspect they criticise religion. Of course this anti-religios view also includes an apocalyptic perspective, but having more sense than the lyrics that most bands wrote in similar topics. "Dawn of Possession" in not a performance of a simple wilder-wannabe band, but a well composed album in all round. And it's overwhelming sound couldn't be confused with any others, this raw brutality became the feature of Immolation and made them a well respected band in the underground scene. Which status they still own until nowadays.